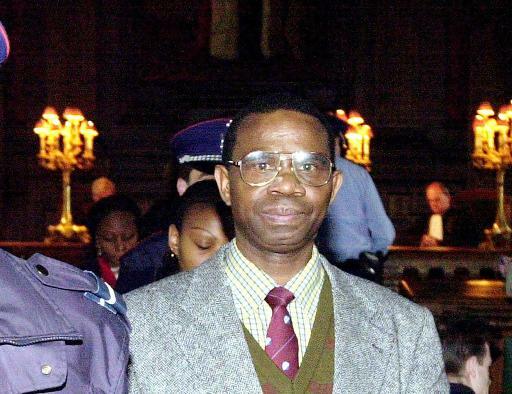 Belgium has granted a visa to former Rwandan gendarmerie boss Augustin Ndindiliyimana, who was acquitted of genocide by the International Criminal Tribunal for Rwanda (ICTR), Hirondelle learned on Wednesday. “General Ndindiliyimana has obtained a Belgian visa and is packing his suitcases,” said a source at the ICTR Registry who wished not to be named. This information was confirmed by other acquitted persons who spoke to Hirondelle in the corridors of the Tribunal. Ndindiliyimana was convicted by a trial court in May 2011 and sentenced to 11 years in jail, but was acquitted by the ICTR Appeals Chamber last February. He had been charged with crimes committed by his subordinates during the 1994 genocide, but the appeals judges found that he did not have effective control over the gendarmes that were deployed to fight rebels of the Rwandan Patriotic Front (now in power in Kigali) because they came under the command of the army chief of staff. The judges also found that Ndindiliyimana, an officer from southern Rwanda who was also a Minister of Defence, opposed the massacres. Relocating ICTR acquitted persons and convicts who have served their sentences is an ongoing headache for the Tribunal. These individuals refuse to return to Rwanda, saying they fear for their security. As well as Ndindiliyimana, the ICTR houses and feeds eight acquitted persons and three who have served their sentences in the Tanzanian town of Arusha where it is based. The UN Security Council has already adopted two resolutions calling on member states to host ICTR acquitted persons and convicts who have served their sentences, but these resolutions are not binding. The ICTR Statute provides that states must cooperate in the arrest and transfer of accused persons, but it makes no mention of what should happen to acquitted persons and those who have served their sentences. The eight acquitted in search of a host country include three former ministers, a general and a colonel as well as Protais Zigiranyirazo, brother-in-law of former president Juvénal Habyarimana whose assassination on April 6, 1994 triggered the Rwandan genocide. They all want to join their families in Western countries. The one who has been waiting the longest is former Transport Minister André Ntagerura who was acquitted in February 2004. Five acquitted persons have been relocated up to now. France has taken two, while Switzerland, Belgium and Italy have each taken one.